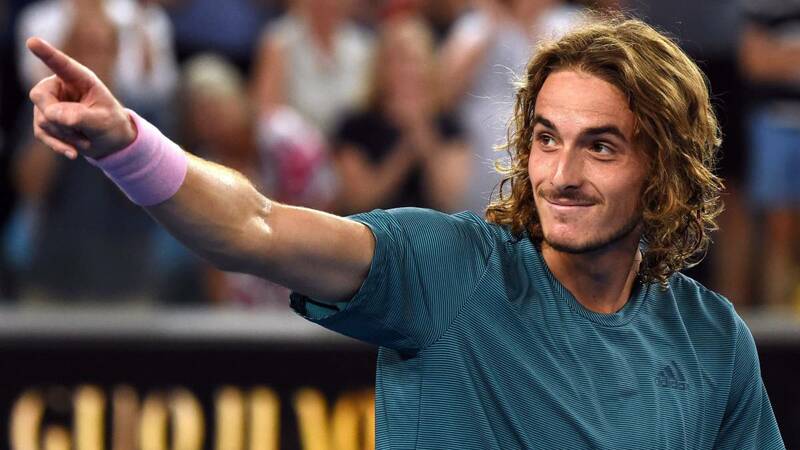 Stefanos Tsitsipas beat Georgian Nikoloz Basilashvili in four sets (6-3, 3-6, 7-6 (7) and 6-4) and reached the round of 16 of the tournament for the first time. Stefanos Tsitsipas is already a reality of world tennis. The Greek promise, champion of the NextGen ATP Finals of 2018, has been planted with 20 years in the eighth-finals of the Australian Open for the first time in his short career, on the second chance. He already got it at Wimbledon last year. To do so, he eliminated Nikoloz Basilashvili in four sets: 6-3, 3-6, 7-6 (7) and 6-4 in 2h: 54. El heleno will now have a favorite opponent, Roger Federer himself, to whom will face for the first time in official match (lost against him a few days ago in the Hopman Cup) and that has won Taylor Fritz in the Rod Laver Arena (6-2, 7-5 and 6-2) . Great punch ( 18 aces), he had patience to withstand the visceral attacks of the Georgian Basilashvili, who endorsed him 56 winning shots. But he minimized the errors and I wait for his moment. It was key his triumph in the tiebreak of the third set, raising a set point of Basilashvili that would have been a stick after having had a 3-0 lead at the start of the set. In the fourth heat, Tsitsipas broke his opponent's serve to get 4-3 and serve, and then held the advantage. This also sealed his pass to the second round by the Bulgarian Grigor Dimitrov, semifinalist of the tournament in 2017, which he surpassed in three sets to the Italian Thomas Fabbiano by 7-6 (5), 6-4 and 6-4. Dimitrov will fight for a place in the quarterfinals against the American Frances Tiafoe, who overcame in five races the Italian Andreas Seppi.